Delano has proven, since before his days at Tucson High, to be a leader and a pioneer in the Tucson community. His basketball successes at Tucson High are legendary. His successes in the educational field after Tucson High are nothing short of extraordinary. While at Tucson High, Delano was the captain of the last Tucson High Basketball team to win the State Championship. The Arizona Daily Star named him to their 1st Team All-City Team and both the Star and Arizona Republic named him to their 1st Team All-State Team. After becoming an All-Conference player at Phoenix College, he returned to Tucson and earned a degree from the University of Arizona. For 33 years, he served as a teacher, coach, and administrator in the Sunnyside and Tucson Unified School Districts. He became Tucson’s first African-American boys’ basketball coach when he took over the program at Sunnyside High School. He was also the first African-American Administrator at Sahuaro High School. He served as an assistant principal at Catalina and Sabino High Schools. While at Sunnyside, Delano was selected for the Superintendent’s Advisory Committee and Sunnyside Hughes/Raytheon Partnership Program which provided guidance and opportunities for minority students seeking careers in the field of engineering. 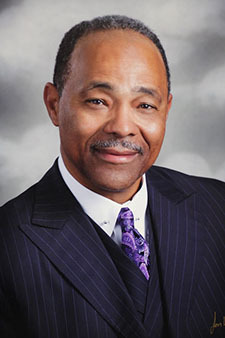 Upon completion of his career in education, Delano was hired as a consultant to the Pima County Office of Education to research and collect data on the county’s after school child care programs to determine areas of need of improvement for future decisions regarding the direction of programs and funding. As a child, Delano could not afford a YMCA membership and he is indebted to administrator C.S. “Chick” Hawkins for providing a membership to him throughout high school. He credits his relationship with the YMCA for providing a blueprint for learning about and appreciating diversity which influenced his personal and professional life. Over the years, Delano has extended his service to the greater Tucson community where he continues to remain active as a volunteer and contributor to organizations that support both children and adults, including past/present service on the THS Badger Foundation Board of Directors, and the THS Alumni “T” Club, and the Pima County Sports Hall of Fame.